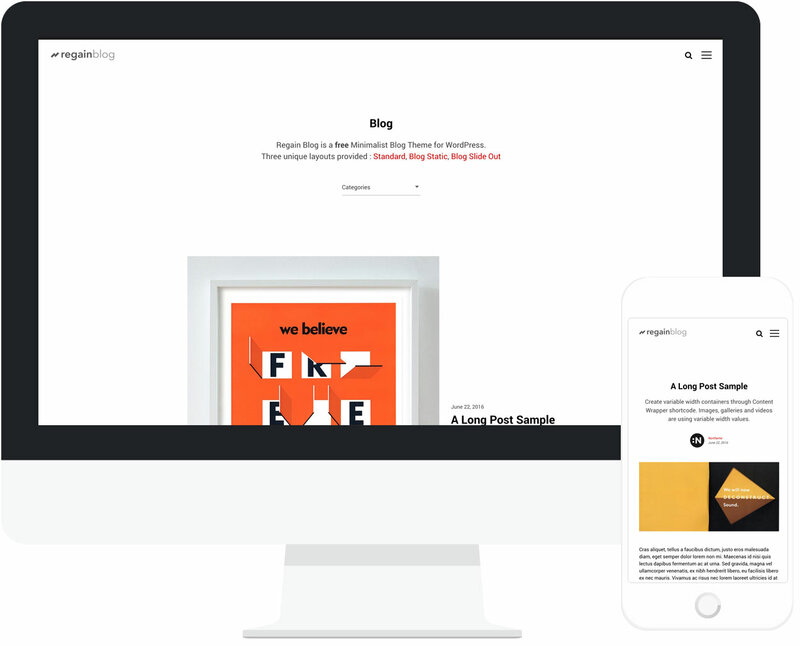 Regain Blog is a Free Minimalist Blog Theme for WordPress. Build a unique blog with three different layouts and long story post format. 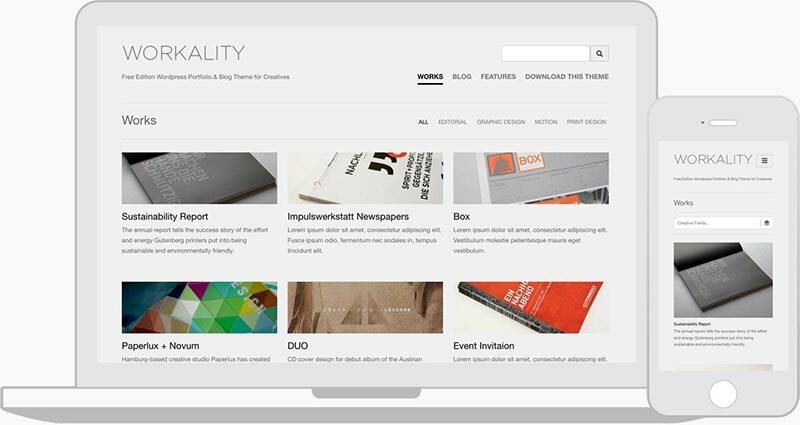 Regain Blog offers three blog layouts to list blog posts : Standard, Blog slide out and Blog static. Use [wrapper] shortcode whenever you want to display a part of content in full width! Regain Blog offers a similar content width limiter shortcode that allows to display a part of content as full width. 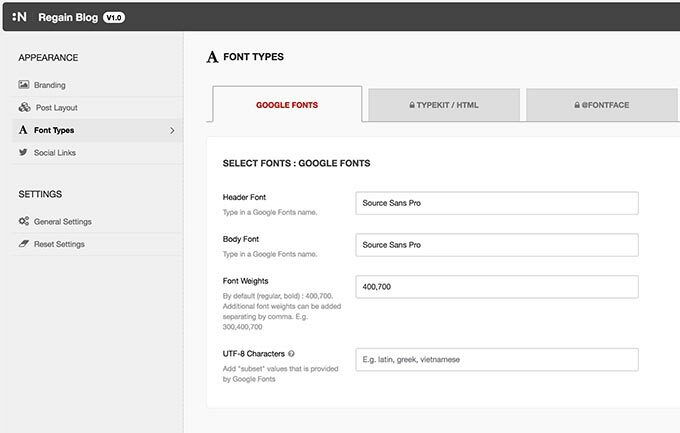 Select any fonts from 600+ Google Fonts and use it on your website! Fonts can be assigned to header and body separately. 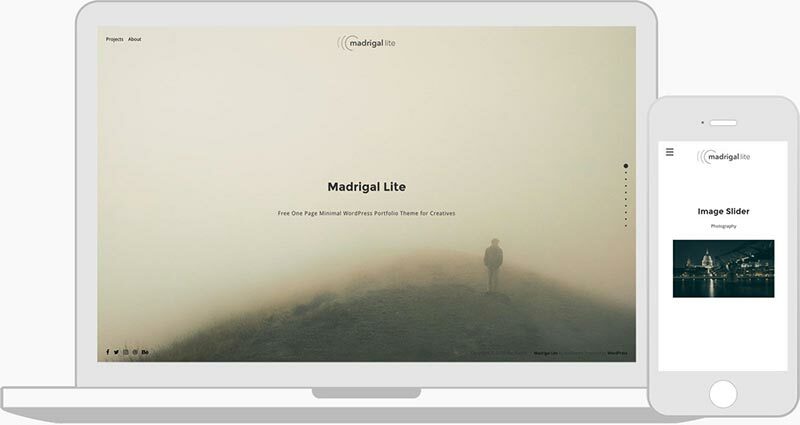 Two widgets areas provided : Footer widgets, Page Sidebar. 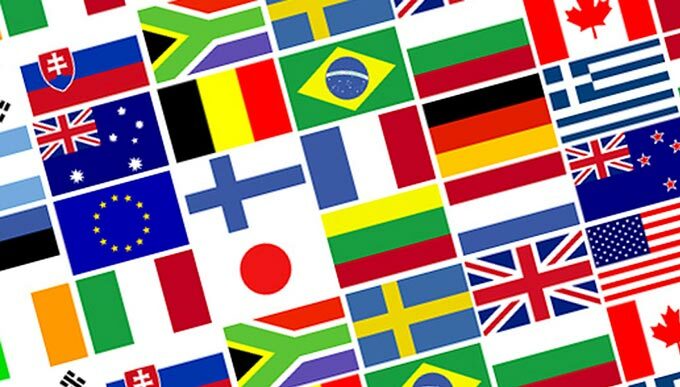 Footer widget area allows to use widgets as 3 columns. Regain Blog shares the same documentation with Regain and premium features are clearly mentioned. Regain Blog also has a Premium Version! 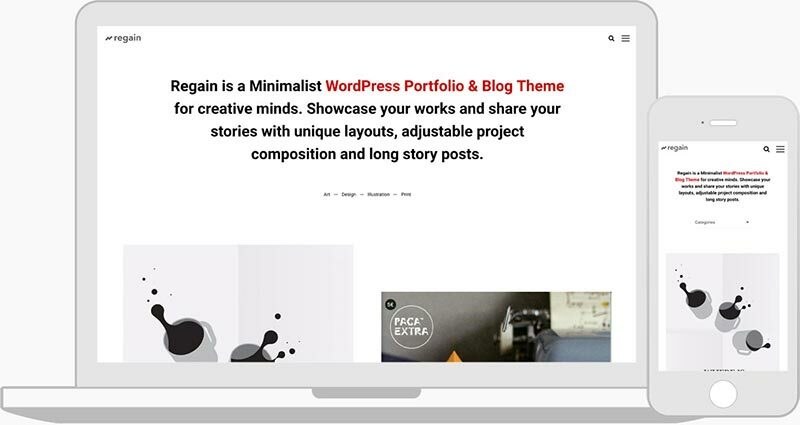 Regain is a Minimalist WordPress Portfolio & Blog Theme for creative minds. Showcase your works and share your stories with adjustable project composition and long story posts. Tweet to Download Regain Blog! Tweet to get the download link.